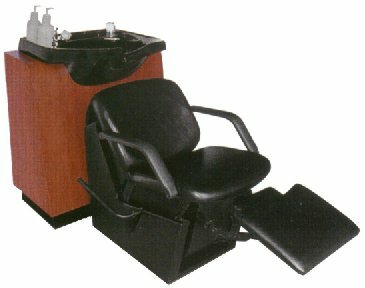 Collins® " QSE BackWash "
Warranty information: Hydraulic bases & reclining mechanisms are guaranteed for five full years from the date of purchase. 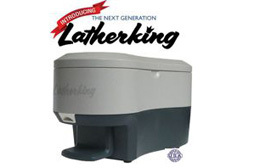 This guarantee does not apply to discoloration, fading, or staining of fabrics. 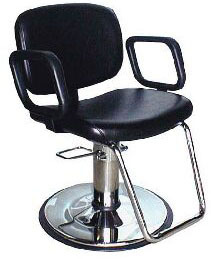 Arguably the industry's most advanced shampoo chair. 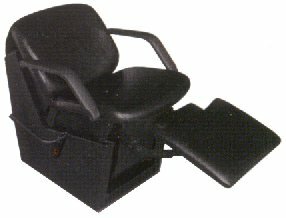 The FIRST shampoo chair to utilize an intelligent cam-controlled back & seat cushion assembly in combination with a safe low-voltage electric drive motor. 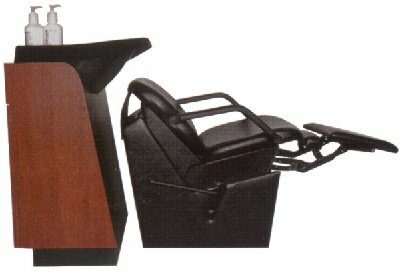 This combination provides a customer-controlled range of motion that insures their comfort and satisfaction. 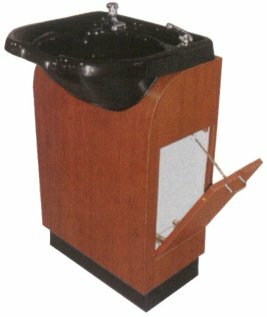 It is designed for use with shampoo bowls that are mounted at a 35" height, and it will comfortably accommodate customers that range in height from 5'0 to 6'0. Finished on all sides with tilt-out door on side for plumbing access & soiled towels. 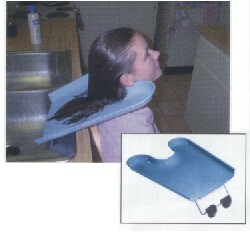 Can be installed as backwash or sidewash. 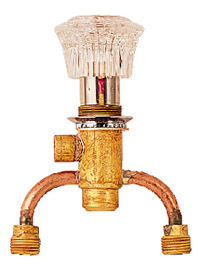 Includes CB24 Concept Bowl, Fixture, Vacuum Breaker, and Hose. 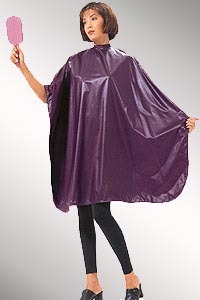 Neck is 35" from floor. 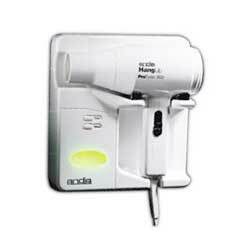 Also, see companion #510-24 wall-mounted towel cabinet sold separately below. 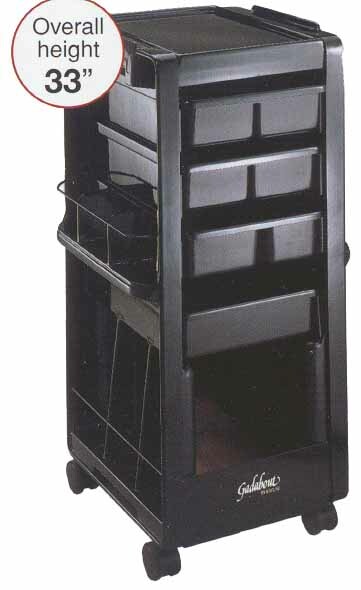 QSE Clean Towel Storage Cabinet with two hinged doors. 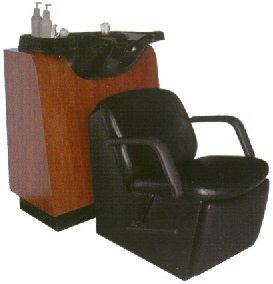 Designed for use with the #508-24 Shampoo Bulkhead, and with the #924-24 Dual Purpose Shampoo Station when used as a Side-Wash unit. 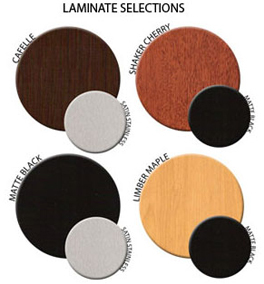 24"W x 12"D x 16"H.
Matte Black, Cafelle, Shaker Cherry, or Limber Maple laminate; 10% upcharge for special order laminates. 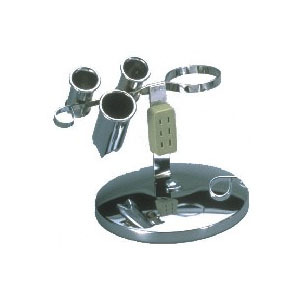 truck lines require an additional $ 75.00 for delivery to a residential address.